When you find that you are looking for burning feet syndrome treatment in Everett, it is natural that you would want to try to pin point the cause. When you work with the professionals at Mill Creek Foot and Ankle Clinic, you will be able to gain much better insight on what you are dealing with. 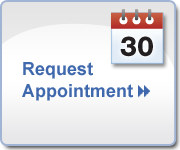 Once you make an appointment to come in and see our team of professionals, you will be able to go over your medical history and have a full examination performed. This will be the best way to get the process started so that you can work on a proper treatment plan. The overall goal is to make sure that you are able to get to the bottom of your burning foot condition and work towards a solution. If you think you have burning feet disease, call Mill Creek Foot and Ankle Clinic at (425)482-6663. We offer burning feet syndrome treatment in Everett.